Aegean is an exclusive oceanfront condominium community located in the heart of the Boca Raton beachfront. This boutique condominium consists of two oceanfront buildings with just eight units in total. Aegean truly offers the utmost peace and privacy in beachfront condominium living, with just one private condo on each floor. Considering the limited number of units in this highly exclusive condominium community, combined with the unparalleled private beach & ocean views, there are rarely condos available for sale at the Aegean. These 3,000 square foot luxury condos boast gorgeous wrap around balconies and many high-end designer finishes. Features commonly found in Aegean condos include chef-inspired kitchens with state-of-the-art appliances, custom cabinetry, & granite countertops, spacious open floor plans that maximize the surrounding spectacular views, large master suites with luxurious bathrooms with high-end fixtures, and spacious walk-in custom closets. Residents enjoy living in this prime beachfront location that offers the convenience of being able to walk directly onto the private beach that is just steps from their front door. Aegean also offers a luxurious oceanfront swimming pool that can be enjoyed year-round. Aegean residents also appreciate the sense of security and peace of mind of living within a private gated community, as well the secure covered parking. If you would like to learn more about Aegean Condos for Sale, please contact us at 561-235-7800. 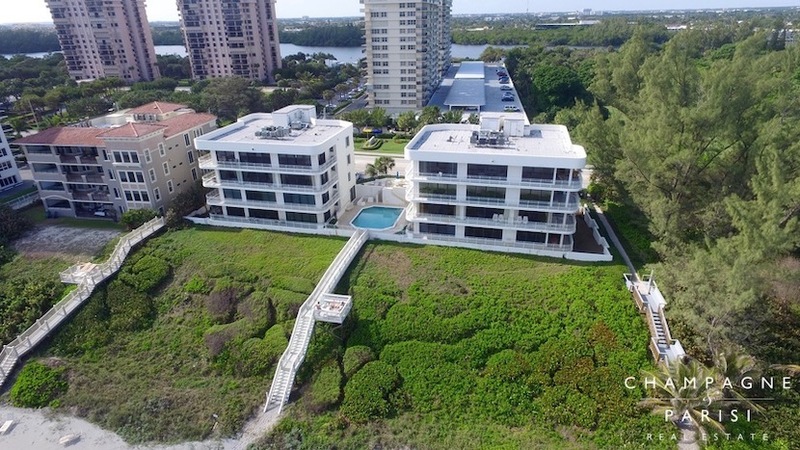 You may also reach us by completing the brief online contact form provided below, and one of our Boca Raton luxury condominium specialists will be in touch to assist you shortly. We at Champagne & Parisi Real Estate look forward to hearing from you and would be delighted to assist you in finding your next dream condo in always sunny Boca Raton, FL! If you would like to receive automatic email notifications when new condos come on the market in Aegean or any other Boca Raton condominium communities, please feel free to REGISTER FOR A FREE ACCOUNT.